Why I call the movie Haami as a curious case of paranoid parenting is, because from the word go, the movie is a reflection of how indulged a generation of parents we are. Here’s a peep into how this movie is a study in itself of parenting behavior and how it impacts our kids. The movie opens with a birthday party of a happy go lucky boy. The father is a business owner and makes sure that his son’s birthday party is the talk of the town (read community). A celebrity singing sensation, latest fashion and exotic food mark the party. As if that wasn’t enough, the kid is bestowed upon with the parent’s blessings in the form of a mobile phone. Here we meet a parent couple who have recently moved to the City of Joy and approach the school of their daughter’s admission. In light of the recent incidents of reported child molestation in school premises, this couple is extremely concerned for their girld child’s safety and security. I wouldn’t say there’s anything wrong with that, because I definitely know of some parents in real life, who continuously put the school administration in a spot over such issues. This sad state of affairs has been projected very candidly in the movie. Children safety is as much as school authorities’ prerogative, as it is the parents. A few unfortunate incidents have brought the school premises and the staff across cadres under the scanner. CCTV, backgroung verifications, clear space demarcations for sub-staff and sub-sub-staff are some measures that schools have immediately taken to ensure avoiding any mishaps. We as parents find solace in this knowledge, but rarely do we stop to think how all this has impacted the school staff. That eerie feeling of being watched every moment, right from the time they step into the school has taken a psychological toll on some for sure. The movie very beautifully brings to light this aspect. As if the concept of Helicopter mothers wasn’t enough, Whatsapp school mom groups have further added to the fire. Age appropriate acts of mischief, childlike mistakes and even innocent acts of display of friendly affection (in this case a ‘Haami’, begali word for a kiss on the cheek) become subject to parental scrutiny because some child went back and very rightly shared the update with his mother. But the mother instead to taking it in childlike stride, went out to blow the trumpet and create misunderstandings with serious repercussions. And Paranoid Mentality At its Best…ummm… worst? The movie depicts how our concern for our kids’ well being has shadowed the joys of innocent childhood. This particular set of parents instead of laughing off an act of affection displayed by their kid and another one, go on to accuse a six year old of molesting their 6 year old. May be the times are that dark in reality, but to keep things in perspective, wouldn’t it be better to use ones’ judgment and look at the situation for what it is before jumping to conclusions? This Bengali movie Haami is a case study of the prevalent issues that various stake holders face in the course of bringing up another generation. What they actually forget to register is that each word said by them, and every action of theirs on display for kids to watch is impacting the kids’ heart and mind. That instead of pointing fingers outwards, every stake holder needs to look inwards and see how each and every word and actions of theirs is affecting the innocent souls. With so much wound into one movie Haami still comes out as that fresh and warm spring air that touches ones heart. One of the concluding conversations between two teachers is what childhood should be about. When the teacher says, “I choose to focus on the kid’s innocence when he says he wants to marry me. Decades later when he will come back for a reunion with his girlfriend or wife, I will pull his ears and ask him ‘hey! I was your first girlfriend’” That’s what childhood should be about. Atleast that’s what my childhood was about. But I fear that times have changed to such extent that I cannot say the same about my kids’ childhood. Can I? 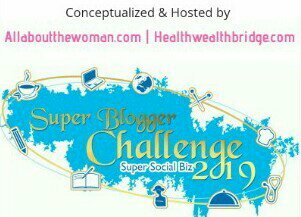 Note: This article is written as a part of SuperBloggerChallenge2019 conducted by HealthWealthBridge.com and AllAbouttheWoman.com and should not be repurposed, republished or used otherwise. This content herein is owned by the blogger. 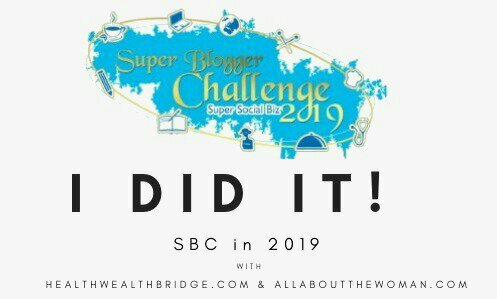 SuperBloggerChallenge2019 is not responsible for any kind of infringement caused. Parents are too over-protective to their children. They place too much emphasis on eliminating possible dangers around their children even before they exist. Those kids face a difficulty in protecting themselves because they have never been given a chance to experience the wider world. Obsessive control over children produces an over-dependency within a child that emotionally handicaps them. Children must be free to overcome their frustrations, solve their own problems, and accept the consequences of their choices if they are to develop the emotional and mental strength required to succeed in school and in the society. And you know that right? God luck and be happy. I have watched this movie and this one is indeed a case of paranoid parenting. The emotions are so well portrayed that you relate to it, I loved watching it n also reading ur review. I love to watch movies and review them. I used to do so professionally few years ago. This movie sounds interesting. Will check. I am a big fan of this film. Was totally overwhelmed after seeing you penning down a great review of it. I haven’t heard about the movie earlier. Thanks to you I am going to watch soon and start searching already. Technology and over-protective parenting is overshadowing childhood innocence. Loved this post. I completely agree with you . As parents we have become paranoid and our children have learnt not to think for themselves. A great review!! When it comes to parenting (our generation) has a lot to learn from our parents. They were never paranoid and rather they have raised one generation with utmost patience. Will check if the movie is available on Netflix or Amazon Prime. Recently watched this one and totally with you on the reviews. Absolutely agree with each and every line that you have mentioned here. Perfect review and a great movie to watch for all the parents. Truly an incredible movie review. There have been so many times when I have watched a movie just based on some review I read or saw somewhere. This is one of those. I am going to watch this movie. Hi Anupriya! I enjoyed reading your post..my best read today. Bowled over by your writing style and message analysis of the movie. I have never heard of this movie and keeping this on my must-watch list. Thanks for this unforgettable post. You know three years back one of the boys in my daughter’s school (when she was in her 4th grade) uttered the words ‘I love you’ to some girl and the girl went and reported this to the class teacher. And the teachers recognized the childish innocence in this and simply laughed it off in the staff room. And rightly so. My daughter came home all excited and told us about this and myself and my wife grinned from ear to ea hearing about it. But the next day the parents of the girl came to school and raised a big ruckus or so we heard from our daughter. It is really a pity that people become paranoid. And the school principal had to educate the parents on a bit of child psychology and they finally had to apologize and only after that the parents went back mollified. This movie seems to be very promising. I will definitely try and watch it. This surely sounds like a must watch for parents. Thanks for sharing the review and I hope to watch it soon! Interesting story line. And one that is extremely relevant to our times. I’m going to check if I can find this movie with subtitles.. I ABSOLUTELY loved your post! Haven’t watched the movie but will do for sure. Your post gives some wonderful food for thought for all parents. Kudos! Great review. I have not heard about this movie. I have never watched nay Bengali movies. I can watch with subtitles if someone recommends. I’m a big fan of Rabindranath Tagore and watched his Tagore stories. Based on that I can predict that Bengali movies will be having culture, Bengali tradition etc. This one is added to my list. Where is it available? This movie now comes in my must-watch list. I have always believed that “What they see, is what they do”. Your review has made me more curious about watching this movie.